Modern voting has received technological updates over the years, but few have revolutionized the process as a whole for the electorate. Utah's recent caucus, however, allowed Republicans to either head to a polling station or vote online to choose their candidate. 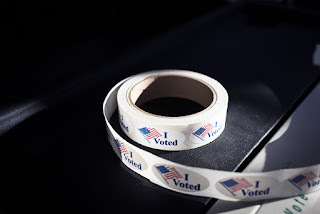 While researchers have long-sought more convenient ways of voting, experts believe the risks still outweigh the benefits. Click here to read more. While wearable technologies soar in popularity, their ease of use makes the devices appealing to thieves for exactly the same reasons. 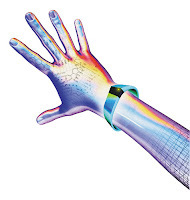 As wearables increase their features, like payment, they face growing security concerns. Yet it's precisely the wearables' collected personal data that may provide security – companies are leveraging information like gait, heart rate or other paired devices to synthesize a user's identity, alerting the owner if an activity pattern seems unusual. Click here to read more. 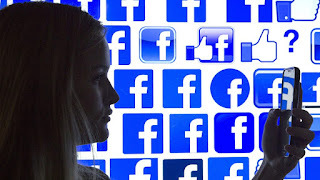 An automated feature on Facebook will alert users if the company detects similar profiles – prompting you to confirm personal information that will determine whether the profile in question is impersonating you, or if it truly belongs to someone else. Though impersonation isn't widespread, it's a particular method of harassment that has global privacy and safety ramifications. Click here to read more. With the influx of personalized smartphone apps, medical groups and health researchers are hoping that the influx of personal data paired with constant use will provide information that has proved difficult to collect through more formalized research processes. Thanks to the ease of smartphone check-ins, users are more apt to record and share personal health issues. Click here to read more. Custom billboards in cities across the US will reflect hyper-local art highlighting neighborhoods like the Meatpacking Distrcit, SoHo, the Mission District and Fisherman's Wharf, Chicago, Lincoln Park, Miami, Portland and more. The catch is that passersby who are Snapchat users may be the only ones to recognize the graphics. The designs are created and submitted in the app itself, and render when users opt-in to share their location. Click here to read more.